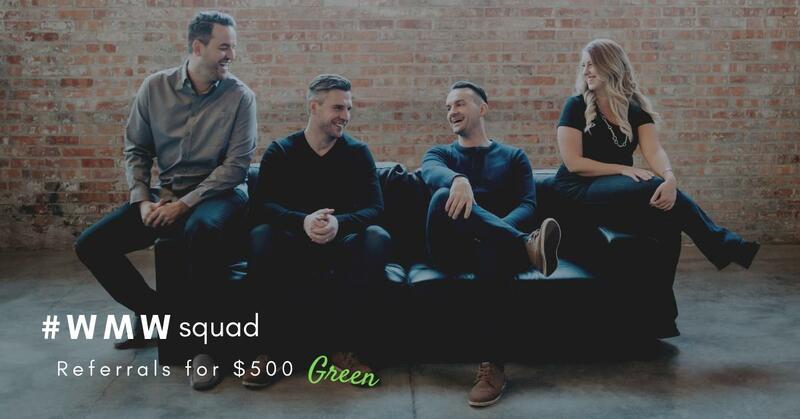 Join our squad for a chance to earn some extra Moola! We love Referrals… & so will you! How does it work? Well, it’s simple! Just refer your friends & family to us, whether they are buying or selling their home. Our team does it all! What do you get out of it? You get $500 for the referral all because you mentioned WMWhomes, in what was most likely an everyday conversation!